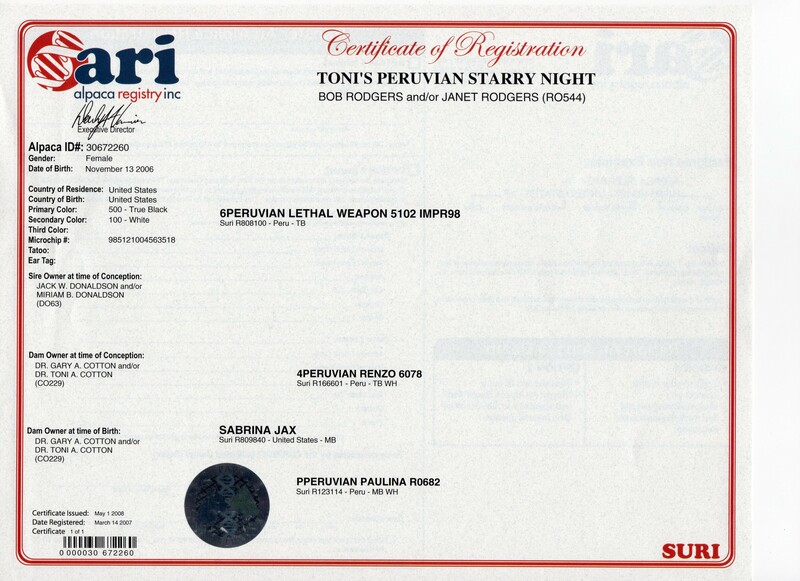 Sabrina was purchased as a foundation female when she was only 30 days of age. She is a sweet female with the most beautiful head and is a wonderful mother. 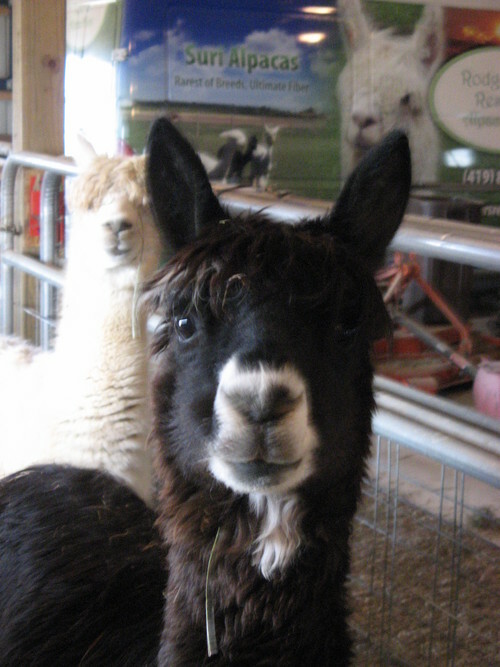 She has produced multiple show quality cria, all very proud and correct and healthy! She is a jewel in our foundation program and I am very thankful to have her as part of our herd. She will remain with us in Colorado until the end of her days. 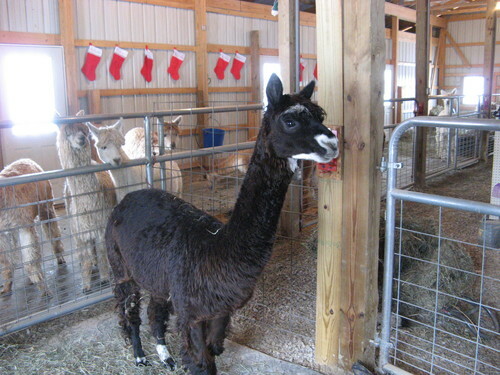 She is currently bred to our Champion male, Kiyu Peruvian Accoyo Dancer and due in spring 2008! 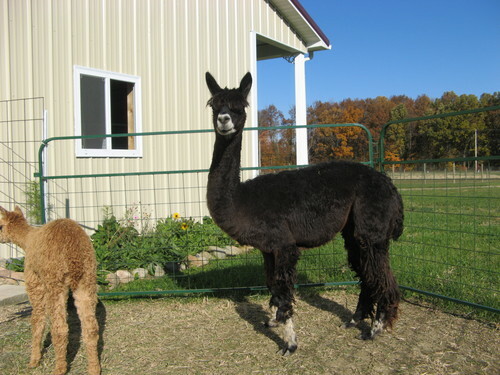 She will be bred back to SMA Wrangler, our maroon Champion male for a spring 2009 cria! Starr Night, invokes all that she is. 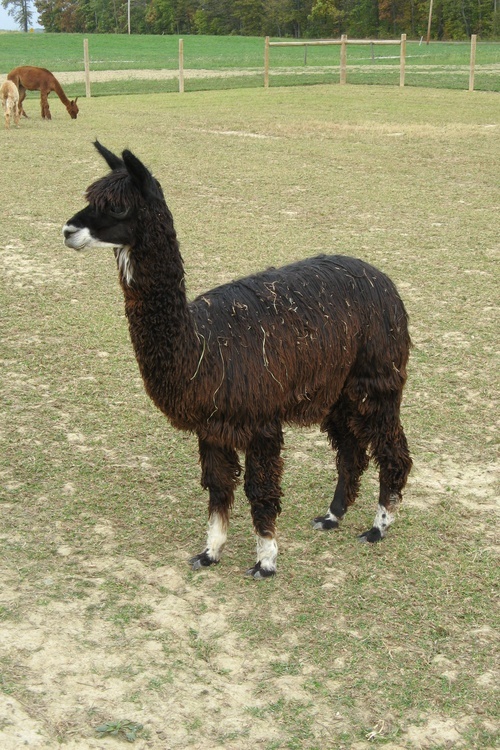 True black with just areas of white in the face and legs. Her blanket is uniform and consistent in color. She has proven to be a good healthy mom. 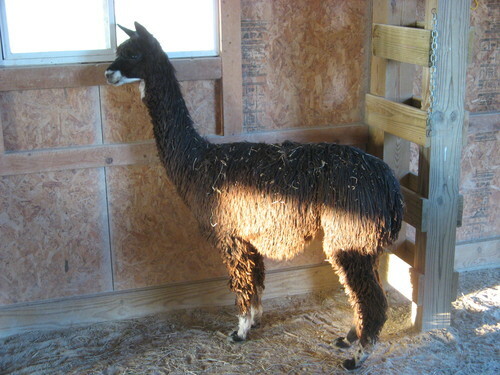 Her latest cria was 22.5#. We would recommend a full Accoyo for breeding. 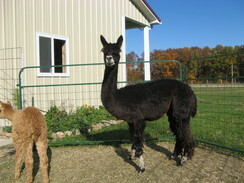 She will let those great genetics shine through to her cria along with her own great traits.